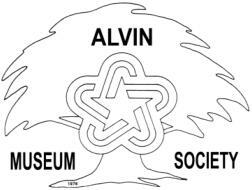 The Quarterly Meeting of the Alvin Museum Society is set for Sunday, February 26, 2006, in the West Wing of the Alvin Senior Center, 309 W. Sealy. The Business Session begins at 2:00 p.m. followed by the program, refreshments and visiting. For those who did not attend the Historical Museum Open House in January, you will have an opportunity to view a commentary on the 1900 Storm. Several presentations of artifacts will be made also. Everyone is welcome to attend.